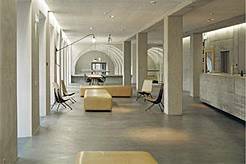 Students and doctors in training have accommodation at the newly renovated Youth Hostel St. Alban in Basel from August 24th-29th included in the registration fee. Would you like to arrive before August 24th or stay longer than August 29th you may book accomodation directly at the youth hostel. Please send an e-mail to basel(at)youthhostel.ch with the reservation code 28700/IPPNW Weltkongress. You will be sharing 4- or 6-bed rooms with other IPPNW student participants. We're assigning the rooms depending on your gender and country / native tongue. If you will not be able to live with the room allocation as done by us we'll find a solution on site. 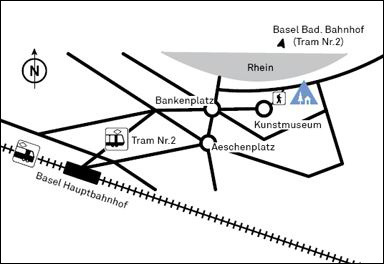 15 minutes’ walk from the railway station via Aeschenplatz or on tram line No.2 from the railway station to the “Kunstmuseum” (Art Museum) stop. Then 5 minutes’ walk through the Alban suburb down Mühleberg towards the Rhine, past St. Alban Church to the youth hostel. Signposted at the railway station. You can use this form together with your registration confirmation (be it an e-mail from Ruweba stating your participation, the letter for your visa application or an actual Registration Confirmation) as a free transfer ticket from the EuroAirport Basel-Mulhouse or the Basel Train Stations to the Youth Hostel. See the Youth Hostel's location here. On Tuesday evening, August 24th, a light dinner will be served at the Youth Hostel. On Tuesday, August 24th from 20.30-21.30 Agyeno (ISR, Nigeria) will hold a Precongress Brush-Up on Nuclear Weapons especially intended for IPPNW newcomers. Congress registration and check-in for students and young doctors will take place at the Youth Hostel starting on Tuesday, August 24th from 12.00 on. During the arrival of the BAN tour (17.00-19.00) possibly only check-ins will take place - please come back later for the registration. Students or young doctors arriving on Wednesday, August 25th or later, should advantageously check in at the Youth-hostel and then come and register at the Kollegiengebäude (congress site). Water - practically all taps and fountains produce delicious water which is as pure as bottled mineral water. Very rarely it is indicated as not drinkable (for example the artistic Tinguely Fountain next to the Theater in Basel). 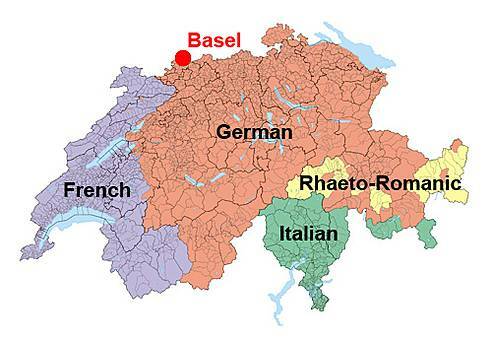 Language - There are 4 nationally spoken languages: German (in Basel), French, Italian and Rhaeto-Romanic (see map for the language regions). English is widely known and you should easily get by with it. get yourself a free flickr account (yes I know it is very funny for dutch people :-) - Flickr belongs to Yahoo, so you'll be asked to create a new account there as well or use one you already have. go to the [group of your choosing] and click "Add Something?" go to "Organize & Create" (at the top of the site), click on "Groups" at the top, choose the [group of your choosing] and pull as many pictures as you want from your filmstrip at the bottom into the group window - done! Enjoy the all those pools containing your pictures now! And soon your pictures will be shown in the banners above!